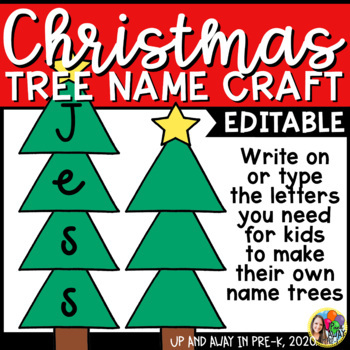 This Christmas Tree Name Craft is great for name writing and name building skills! Students get one triangle per letter of their name, then cut and glue their Christmas Tree together. You can even add a bit of gold glitter to give your tree a bit of sparkle!